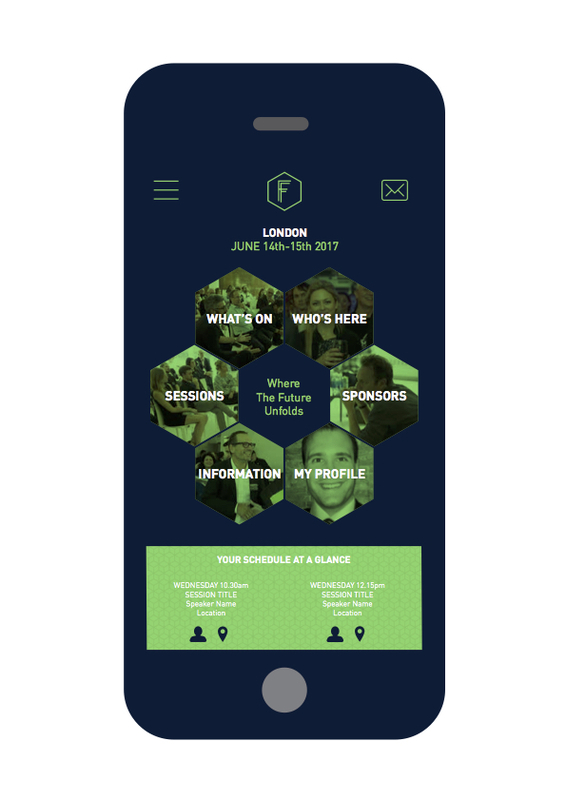 Software developer VenuIQ needed a vibrant looking design for their app for the Founders Forum (FF) event in London. 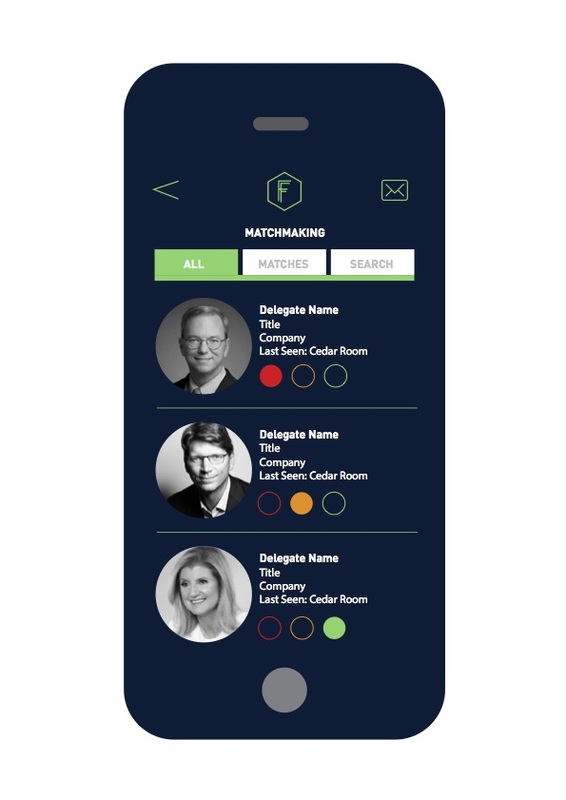 FF is a network that brings together digital entrepreneurs, corporate CEOs and senior investors at events across the world. Extrapolating elements of their website our design for the app used geometric shapes for the navigation and a striking green look for icons and pictures. The design has continued to be used in apps for additional events across the world including Rome and New York.